Santorini Island is in first place in the ranking of Places for Marriage («BBC Travel» and «Lonelyplanet"). Also, the island was on the top 10 list of the most visited islands and was chosen as the most popular European island. The German magazine "Gala" described the island of Santorini as a place where "celebrity hide". Couples come here to enjoy the most beautiful sunsets in Europe. 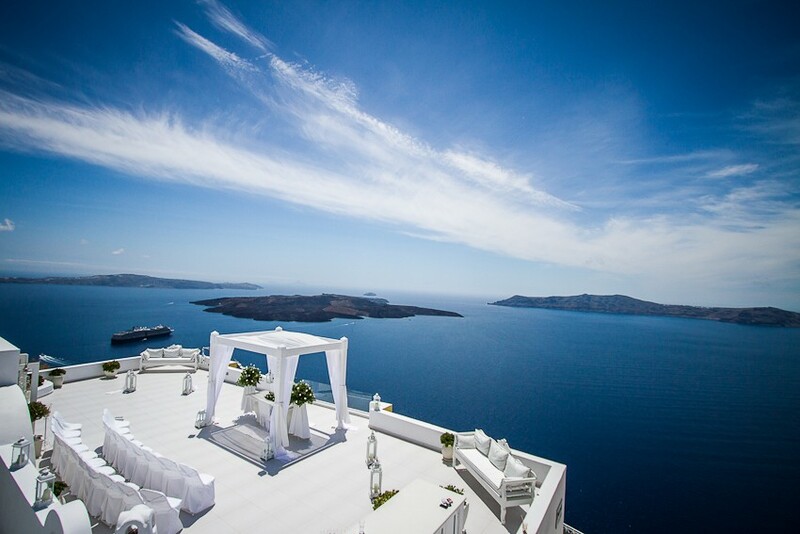 In Santorini there are centuries-old tradition of holding weddings and honeymoons. 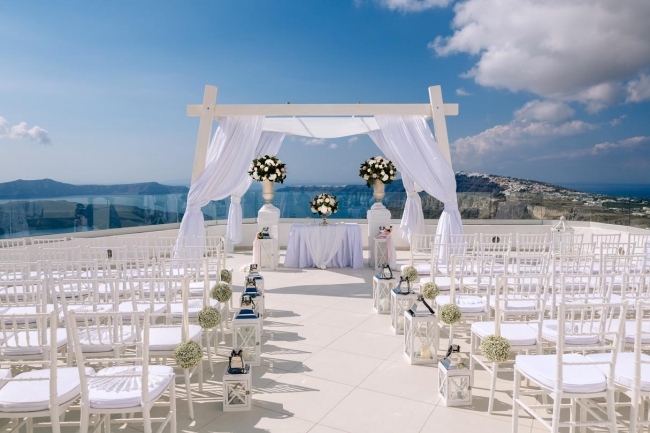 According to legend, the very strong and unbreakable marriages take place in Santorini. 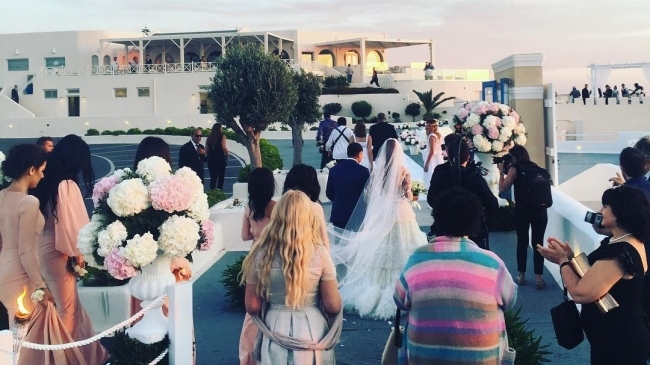 Every year more and more couples prefer wedding in Santorini. This romantic ceremony in luxury hotels, on the professional wedding sites with views of the Caldera, in luxurious restaurants that are literally carved into the slopes of high cliffs in front of the flaming sunset, as well as on the deck of an old sailing ship, on top of the mountain, on the multi-colored beaches of the island (white, red, black), in the famous ancient churches, fascinating for its beauty. 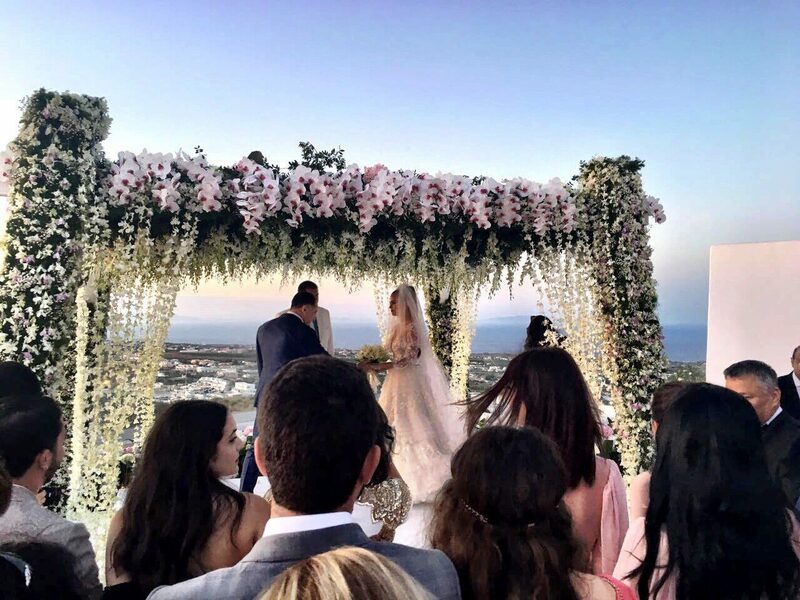 According to the source, the wedding cost of Xenia Deli was more than one million euros and location, Santorini, was the desire of the bride. 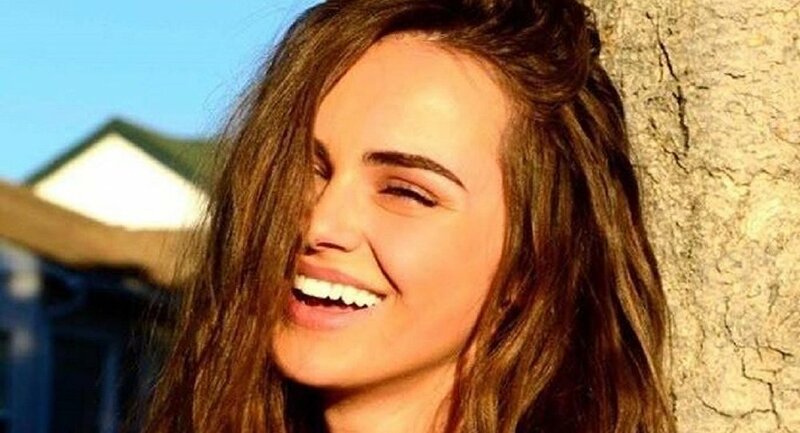 The bride Xenia Deli married a prominent businessman of Egyptian origin who is 36 years older than her. The bride was brought to the event in a carriage. Xenia Deli wore a white dress decorated with plenty of lace, and a very long veil. The decorations were also in light shades and orchids prevailed among flowers. Great event was held in Santo winery in the village of Pyrgos on the island of Santorini at sunset, overlooking the beach and a local volcano. The reception that followed after the wedding brought together about 150 people. The party included numerous delights, surprises and belly dance. 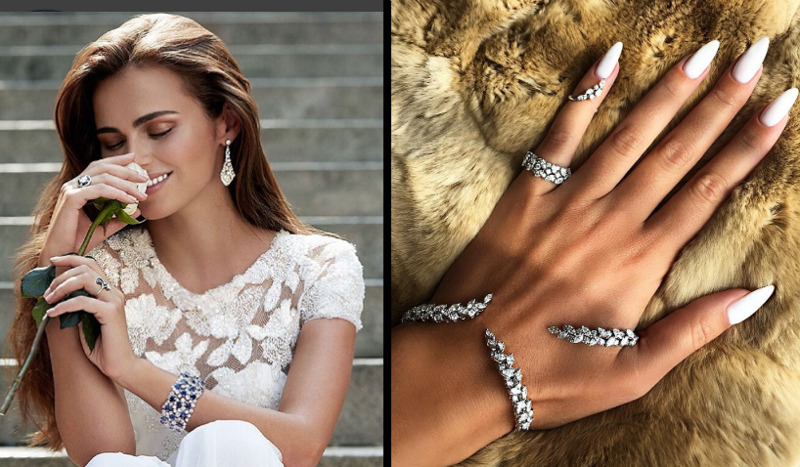 In late April, Xenia Deli posted on her Instagram account a photo and said that she received the gift of a Bentley and an engagement ring. 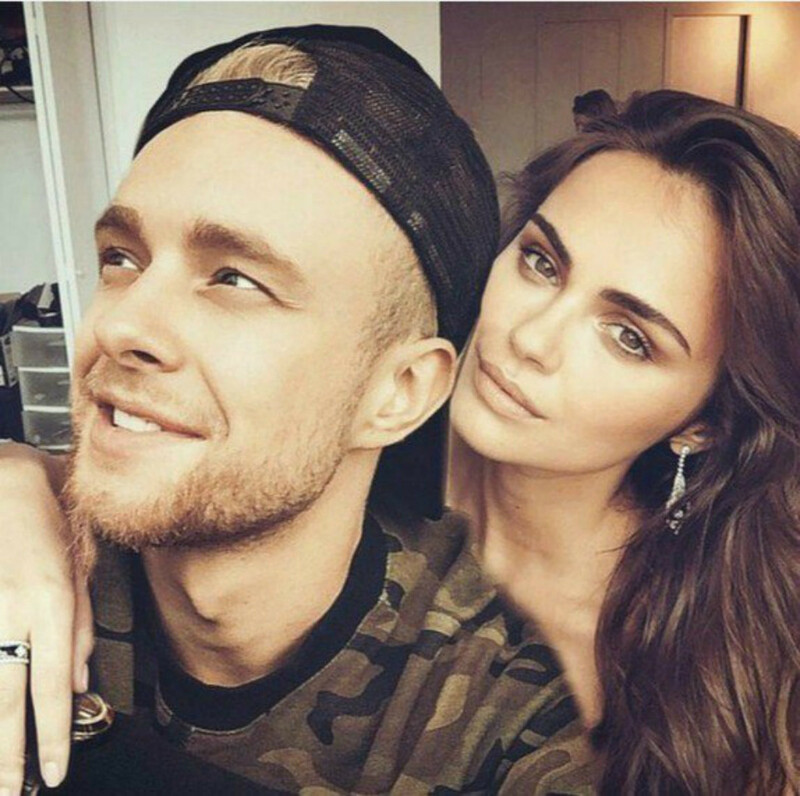 The press also wrote that despite the large age difference between the two, Osama Al-Sharif (62 years) and Xenia Deli (26 years) have much in common. Thus, Osama Al-Sharif is president of the group "Amiral", specialized in the extraction and processing of magnesium. He has businesses in shipping and logistics. He oversees traveling between Egypt, Jordan, southern France and Switzerland. 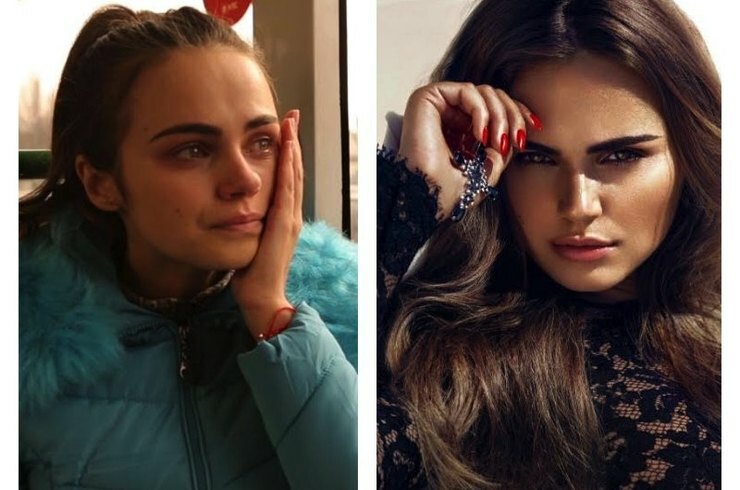 Friends characterize him as a very generous person, with an open heart and an admirer of Greece .... Xenia Deli, Moldavian model, living for many years in the United States.